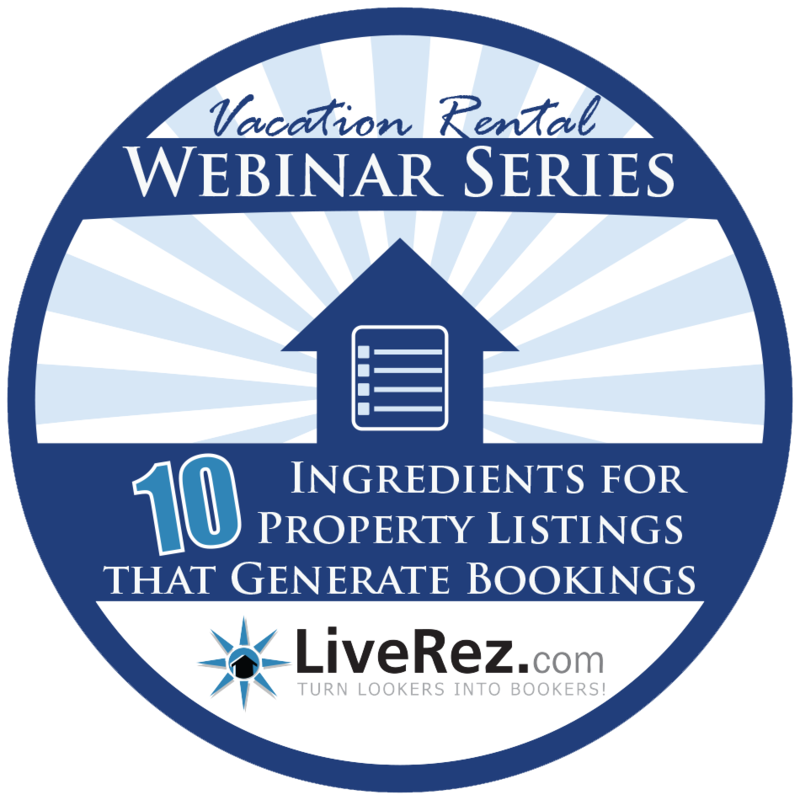 The first webinar in LiveRez's 2014 webinar series covered the "10 Ingredients for Property Listings that Generate Bookings. " LiveRez’s webinar from Feb. 19 on “10 Ingredients for Property Listings that Generate Bookings” is now available to watch online. To access the video, check out the Downloads Page on LiveRez.com. It’s listed under the webinars section. And make sure to check out our Webinars Page as we will be adding even more webinars to this year’s scheduled lineup.